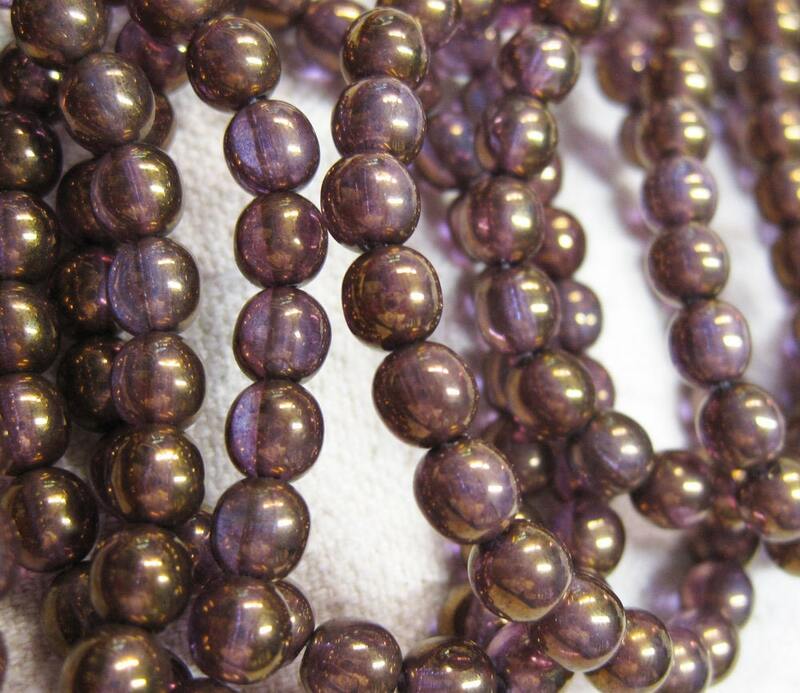 Upon first look you see metallic bronze, but look close and you will see a stunning transparent purple along wit the bronze picasso on these 6mm Czech glass druk beads. There are 30 beads per strand. Thank you!! Exactly as described. Would order from seller again.